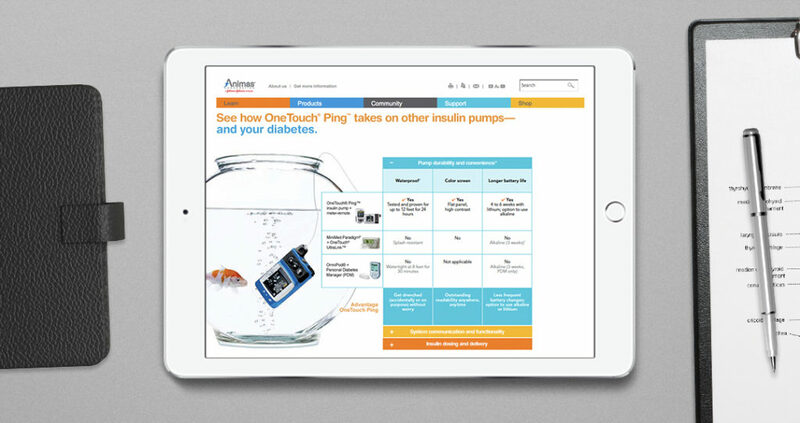 The innovators at Animas were dissatisfied with how limiting insulin pumps were. 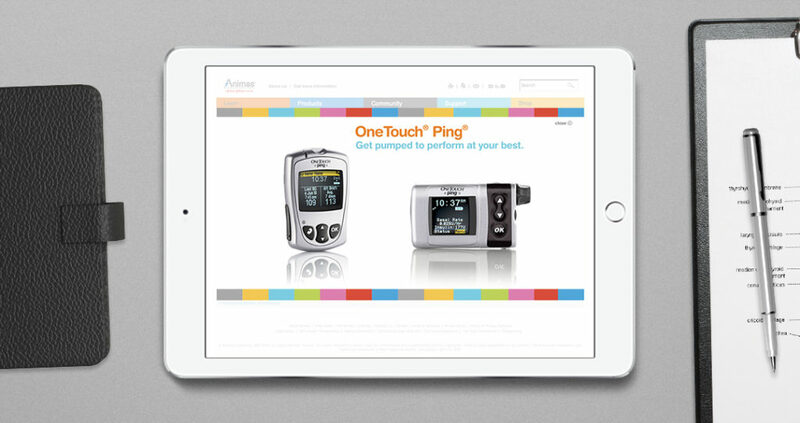 To address this, they created the OneTouch Ping to bring more freedom to their patients. Animas looked to build a website that educated their customers about their products and show their optimism and cheerful personality. Despite the product’s black and silver coloring, a vibrant color palette was used. This palette helps reinforce the product’s ability to brighten the lives of patients. 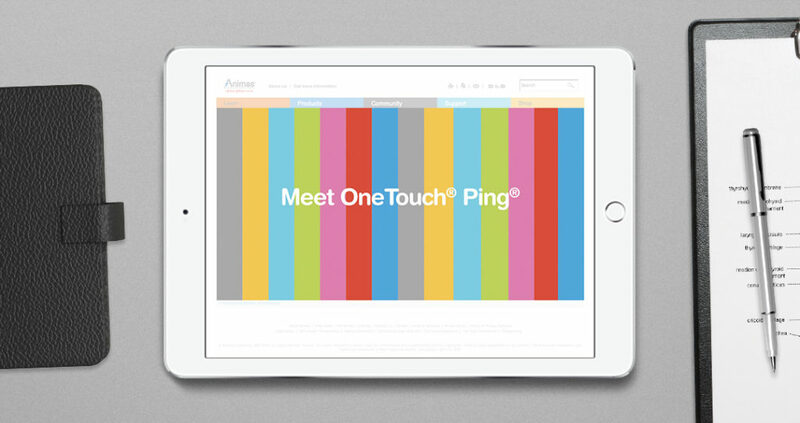 Now their patients can now feel the freedom OneTouchPing delivers!